I am writing to you on behalf of myself, Oromo-American and permanent resident members and supporters of the Oromo Liberation Front (OLF) in the USA Who are happy to call this great nation their home and enjoy the democracy, justice and human rights it has to offer. Our members and supporters, the vast majority of whom are voting United States citizens, are proud contributors to this nation’s economic and social life. As we mourn the passing away of, and celebrate the life and accomplishments of, former president Nelson Mandela of South Africa - "The last great liberator of the 20th century” – we cannot help but remember one of our own – General Tadesse Biru. Gen. Tadesse was another fighter for liberation of his people, the Oromo people, who was assassinated by the Ethiopian regime in 1975. He was, also, the man in charge of training Mr. Mandela when the latter came to our land for military training in 1962. In your eulogy speech at Nelson Mandela's memorial on Tuesday, December 10, 2013, you said “Around the world today, men and women are still imprisoned for their political beliefs; and …” which struck a chord with us because we are members of one such persecuted people – the Oromo people – in our land of origin Oromia. The Oromo are the single largest group in Ethiopia comprising over 40% of the Ethiopian population but economically dispossessed and politically disenfranchised by successive Ethiopian regimes. Having been forcefully incorporated in to the Ethiopian empire around the end of the 19th century, the Oromo have since been struggling for their right to self-determination. In an effort to kill this political belief in the Oromo people and to perpetuate their dispossession, successive Ethiopian regimes have inflicted untold misery on the Oromo people in the form of selling off their land to the highest bidder, extrajudicial killings, torture, mass arrests, and disappearances. Such repressions, dispossessions and human rights violations by the current Ethiopian government against the Oromo people are escalating on a daily basis. The list of Oromos murdered or imprisoned for their political beliefs would be too long to provide in this letter but the cases of Tesfahun Chemeda, Bekele Gerba and Olbala Lellisa should suffice to illustrate our points. Tesfahun Chemeda Gurmessa, an Engineer by profession and a UNHCR recognized Oromo refugee in Kenya, arrested and handed over to his persecutors in Ethiopia in April 2007, charged under the deeply flawed Ethiopian anti-terrorism law, sentenced to life imprisonment, held in solitary confinement for over two years with no access to medical treatment which resulted in his death on 24 August 2013 is an example how Oromo political prisoners are treated in Ethiopia. 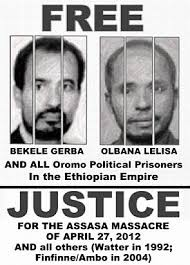 Bekele Gerba, deputy Chairman of the opposition Oromo Federalist Democratic Movement (OFDM) and Olbana Lelisa of the Oromo People’s Congress party (OPC) were both arrested on 27 August 2011 after meeting with Amnesty International (AI) deligation. The AI delegation in Ethiopia was expelled soon after, leaving AI without presence in that country to monitor and report on constant harassment by the government against Oromos in general and opposition politicians in particular. Bekele and Olbana were charged, again, under the deeply flawed Ethiopian anti-terrorism law and convicted to long years of imprisonment. "In my life time, I have opposed injustice, discrimination, ethnic favoritism, and oppression," Bekele told the court at his sentencing hearing. 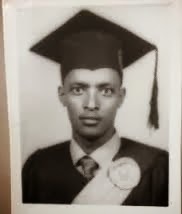 He went on to say “I am honored to learn that my non-violent struggles and humble sacrifices for the democratic and human rights of the Oromo people, to whom I was born without a wish on my part but due to the will of the Almighty, have been considered a crime and to be unjustly convicted." Bekele’s speech to his persecutors parallels and should remind us of Nelson Mandela’s “I am Prepared to Die” speech at his Rivonia trial in 1964. It was a fight against such injustices perpetrated against his people that brought Nelson Mandela for military training, albeit a short one, to the land of the people to whom Bekele Gerba was born, the Oromo people. 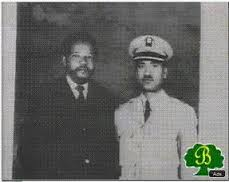 Gen. Tadesse Biru, Tesfahun Chemeda Hunde and many others were cut down by successive Ethiopian governments while carrying Mandela’s torch against injustice. Bekele Gerba, Olbana Lelisa and thousands of others are languishing in Ethiopia’s prisons and detention camps for raising Mandela’s torch for equality and due process. 4. Put the necessary safeguards in place to ensure that United States financial, material and other aids paid for by United States tax payers are not used by the Ethiopian government for repressing Oromo and other peoples in the empire. 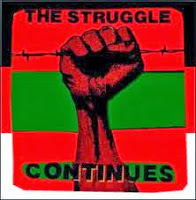 The Oromo Liberation Front (Oromo: Adda Bilisummaa Oromoo or ABO), or OLF, is an organization established in 1973 by Oromo nationalists to promote self-determination for the Oromo people against "Abyssinian [Ethiopian] colonial rule".